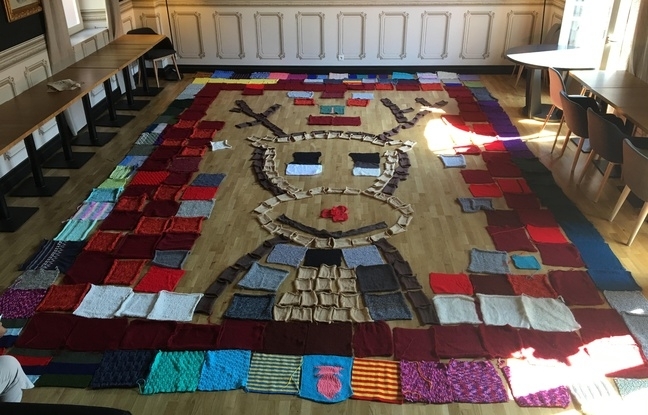 When finished, the jumper will measure eight metres tall by five metres wide, and be made in traditional “Christmas jumper” colours, including bright red and green, with a reindeer on the front. It will have taken over 1,200 hours to make. The group of 20 women is based in the Albi restaurant La Bonne Maison, and led by chief knitter, 29-year-old Lucille Carter. The project has already been submitted to the Guinness Book of World Records for approval, and the group is hoping to receive a response by January. Locally, the finished jumper will be laid out on the turf before the rugby game scheduled between the Top 14 Castres Olympique and Union Bordeaux-Bègles, on December 22. The project is also helping to raise money for the charity Secours Populaire. Once the jumper has been finished and appreciated, the wool will be unravelled and made into blankets for “those who are cold and who need them”, said Ms Carter. Other people in the region have since responded to calls for help, with squares of knitting now being sent to the women from all over - including many from people in retirement homes (Ehpad). Others have helped too: one local shoe making factory has donated balls of wool to help the women keep going. The knitters got the idea for the huge Christmas jumper after coming in third place in the 2017 Ugly Jumper World Championship (Championnat du Monde du Pull Moche), also organised in Albi. Over 600 candidates took part in the contest, coming from all over Occitanie and beyond, including some from as far as Brittany. The event even received international news coverage. Mr Cabanis has given his support to the project.